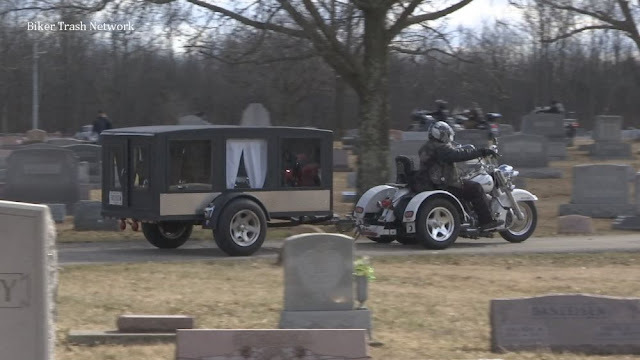 Cornwall, Ontario – (April 12, 2019) BTN – The Cornwall Police Service (CPS) is striving to reduce the presence of motorcycle clubs locally by launching a “No Gang Colours, No Gang Clothing” program. “As Cornwall experiences an increased presence of outlaw motorcycle gangs, it is important to send a clear message that the city is not ‘open for business’ to the activities of any criminal enterprises…(this) is a partnership between the police and participating businesses in an effort to stop outlaw motorcycle gangs from intimidating other patrons, and preventing future crimes from occurring on their property,” read a statement in a CPS press release. 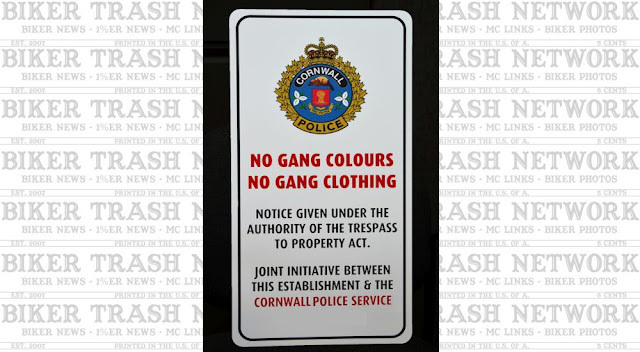 The CPS will supply signs to interested local businesses, which clearly state the “No Gang Colour, No Gang Clothing” policy is being enforced through the Trespass to Property Act. The CPS will have authority to enforce the Act for patrons violating the dress code by wearing gang colors or clothing where a sign is posted, in effort of fostering safer and more secure local environments. “Drug trafficking, fraud, human trafficking, and contraband smuggling are all known to be criminal activities conducted by outlaw gangs, and we want to help our local business community ensure these activities are not occurring on their premises,” explained Det. S/Sgt. Robert Archambault, Criminal Investigations Division. The CPS will work with participating businesses to help differentiate between outlaw motorcycle gang colours and law-abiding motorcycle clubs. Outlaw gangs often wear patches and pins that denote club status. In March, the Ontario government announced an investment of $16.4 million over two years towards a Gun and Gang Support Unit, which will enhance major investigations and prosecutions, as well as province-wide intelligence gathering. The province also established a Gun and Gang Specialized Investigations Fund to support joint forces operations. The government also announced that it will work with communities to establish justice centres across the province that move justice out of a traditional courtroom and into a community setting.